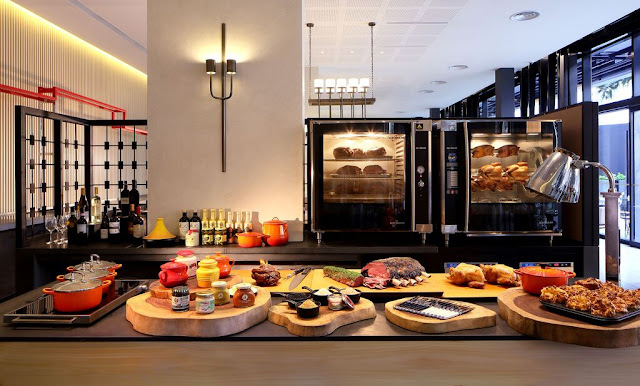 Many people generally associate buffets with sub-standard quality food and more often than not, a meal where it is about quantity over quality. Much as I would like to be the contrarian, I do agree that most buffet offerings are good but not the best. Stepping in to the newly opened Park Hotel Alexandra and onwards to the buffet restaurant on the 7th floor, one would be greeted with a gorgeous sunset view if you visited in the evening. 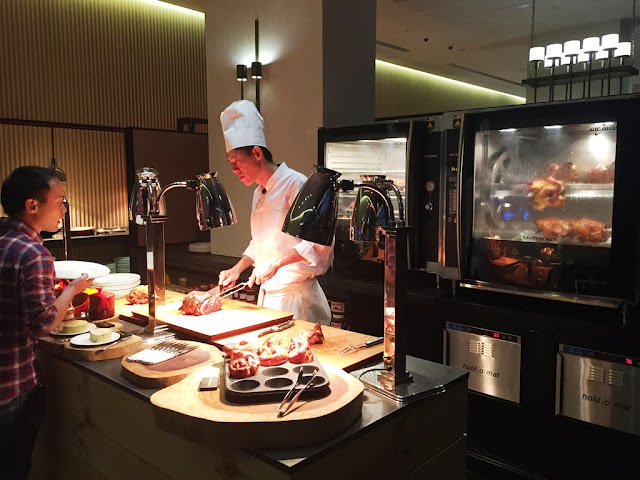 It is hard to miss the three-metre long meat carving station that fronts the restaurant - well it is called The Carvery afterall. 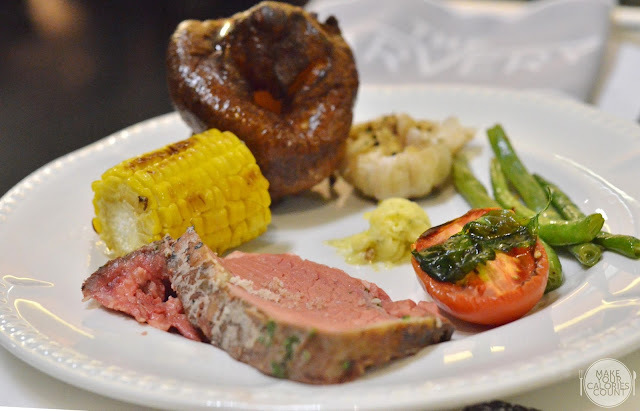 For those who love to be surprised, expect the buffet menu to change daily with three meat options for lunch and an additional roast for dinner. 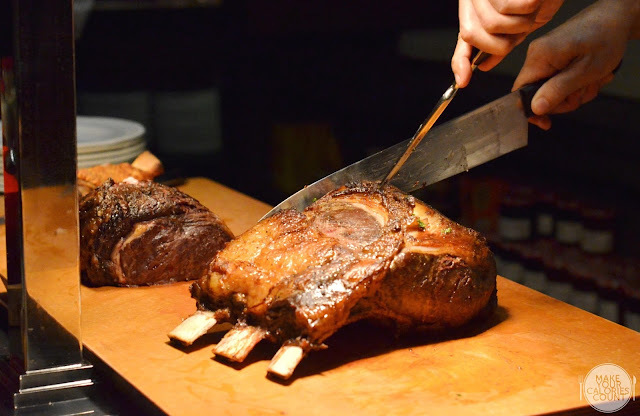 Feel free to check with the servers for wine pairing as the restaurant also carries over 50 wine labels to complete the carvery experience. 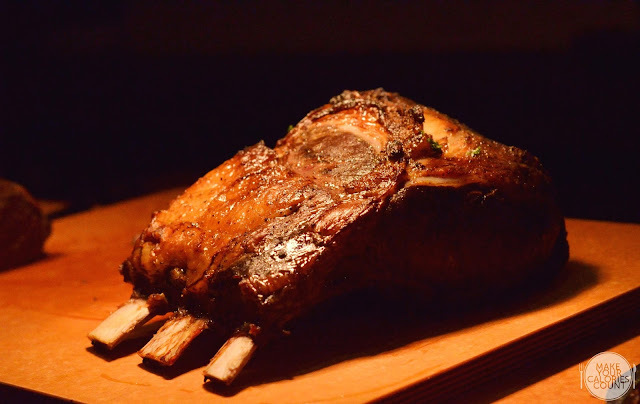 One of the most prized cut, the prime rib of grain-fed beef is from the back of the upper rib section of the steer and is loved for its rich and robust flavour. The beauty of this roast lies not in the premium selection of Australian beef but Chef Robert also dry-ages it to intensify the taste. Cooked perfectly to medium rare, the meat was carefully slow roasted at a controlled temperature for some eight hours to give the nice and tender texture. 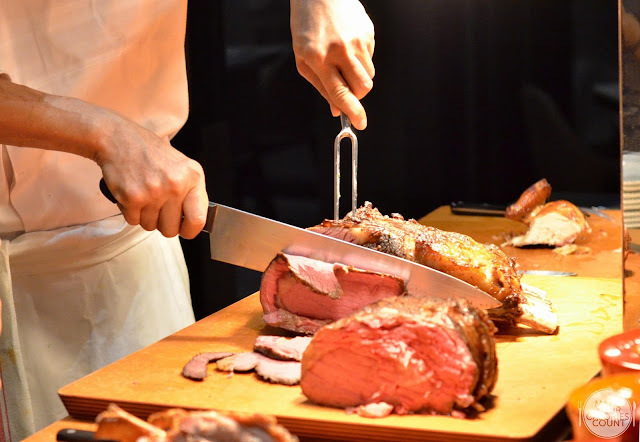 What defines a true carvery experience is not just a perfect cut nor spot-on cooking techniques but a complete selection of side dishes that harmoniously complements the assortment of meats. 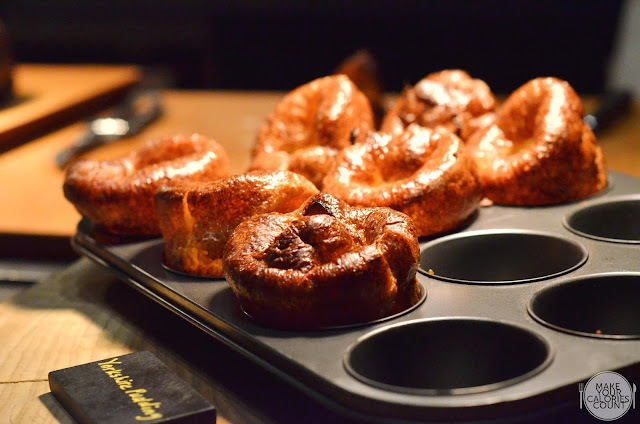 Yes, we drooled at the sight of these golden brown Yorkshire puddings! If this was not enough to make you get off your seat, the truffle and umami-packed anchovy butter surely would! 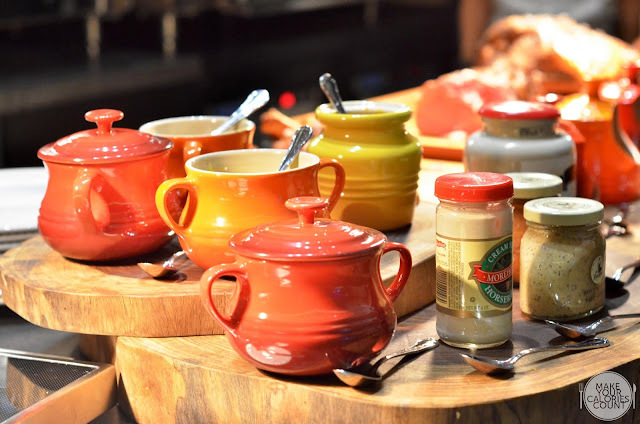 Apart from the home-made butter, be sure to check out the premium salt variants ranging from Black Lava, Pink Himalayan, Maldon sea salt to Chilli-infused! If sprinkling extra salt is not quite your thing, then the house-made sauces would certainly fit the bill. Check out the veal jus and red wine sauce to go with your red meat. 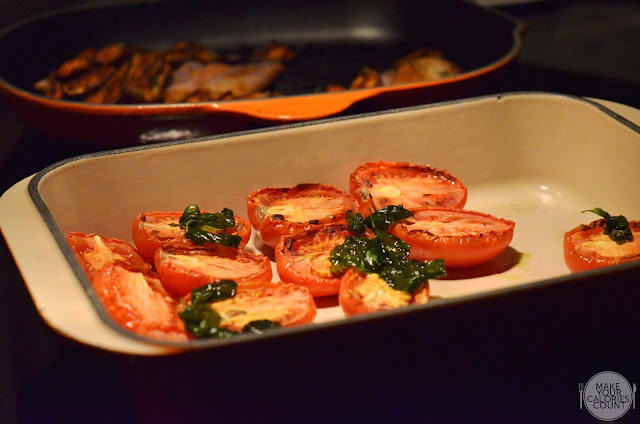 Some greens to balance out the meat? 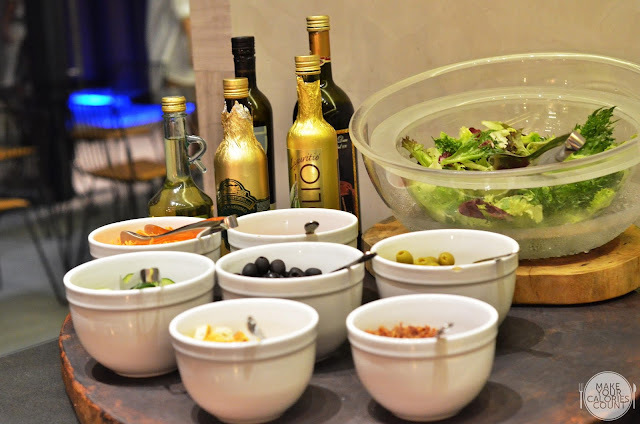 If you love some olive oil to dress your salad, be sure to give the wide selection a go! 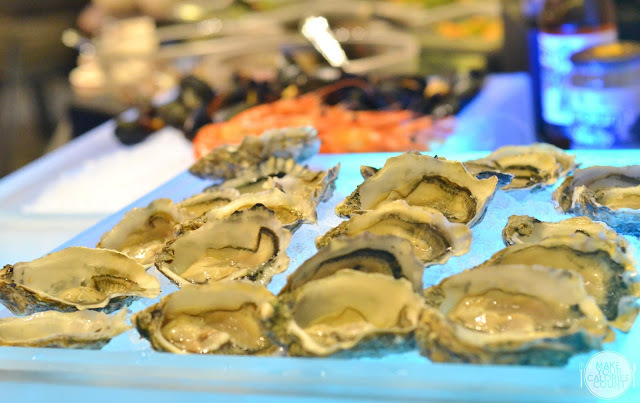 While the roast meats are the highlight of the buffet, there is no lack of seafood offering ranging from fresh oysters to Canadian black mussels and chilled Tiger prawns. 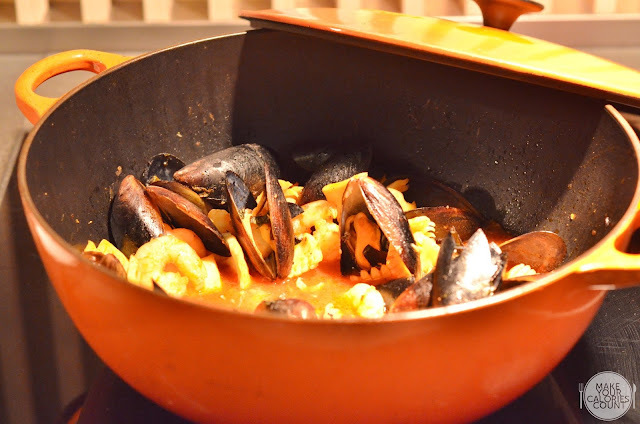 If chilled seafood is not a favourite, head sideways and there will be some hot dishes waiting. Expect a different kind of fish fillet daily - may be salmon today and red mullet the next. While the common notion is not to tuck yourself silly with carbs, please give these petite rolls and baguette a go and you will not regret. 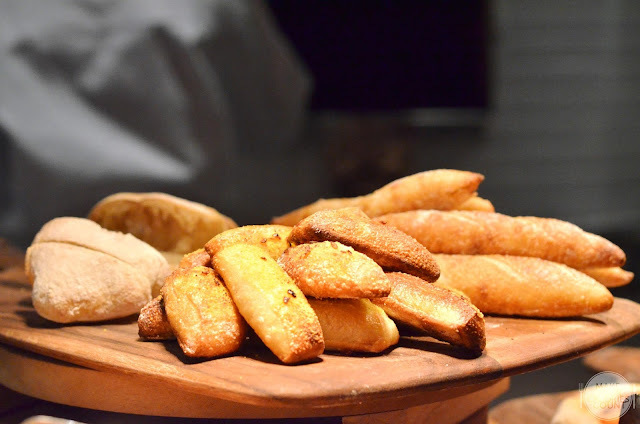 Prepared in-house daily from scratch, Chef uses all natural ingredients including the yeast so expect a chewy texture on the inside and a gorgeous golden brown crust on the surface. 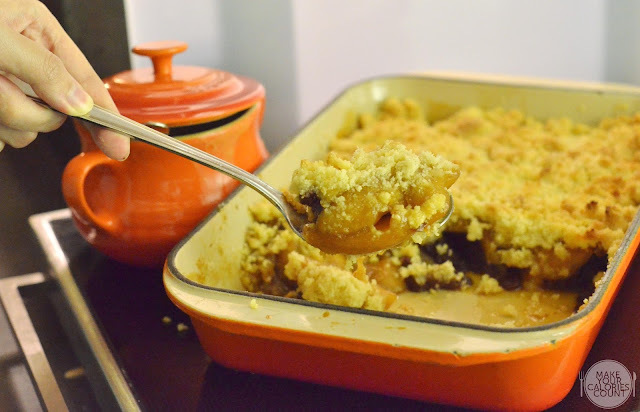 For apple crumble lovers - get ready to be pampered as generous wedges of Granny Smith apples are dredged in cinnamon and topped with buttery crumble. Can I have more please? 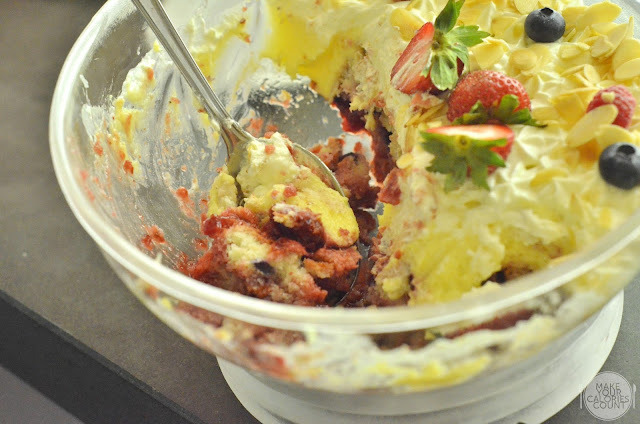 If the apple crumble is not rich enough, then this English Trifle will nail it. Layered with luscious thick custard and sponge cake soaked with Baileys, fresh fruits and berries are added to give a balance in acidity to the sweetness. Perfect with a nice cup of tea! 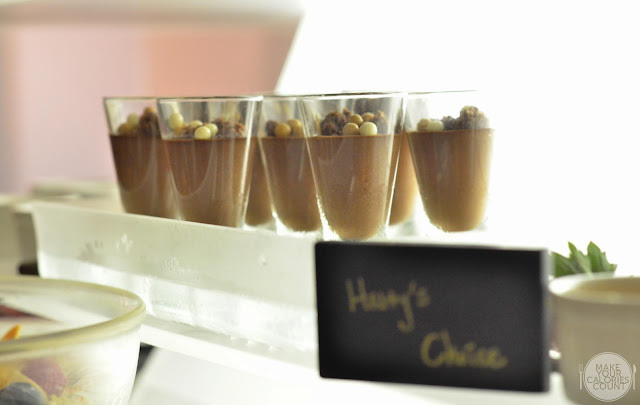 While we were scratching our heads wondering what Harry's Choice was - we found the answer with Jeanette as we later learnt that our late founding father, Mr LKY had the dessert at an event which the Chef cooked for. He liked the chocolate mousse so much that he went to get another helping on his own! And if you did not already realise, Mr LKY's English name was Harry! 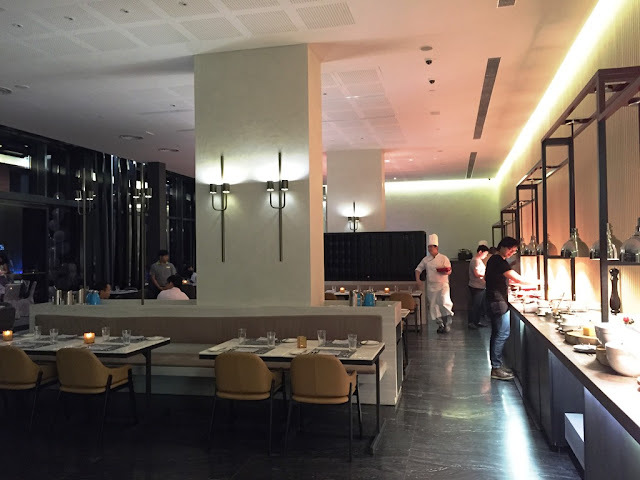 For those looking for an international spread that includes your usual Japanese or Indian cuisine, this buffet will fall short of expectations. 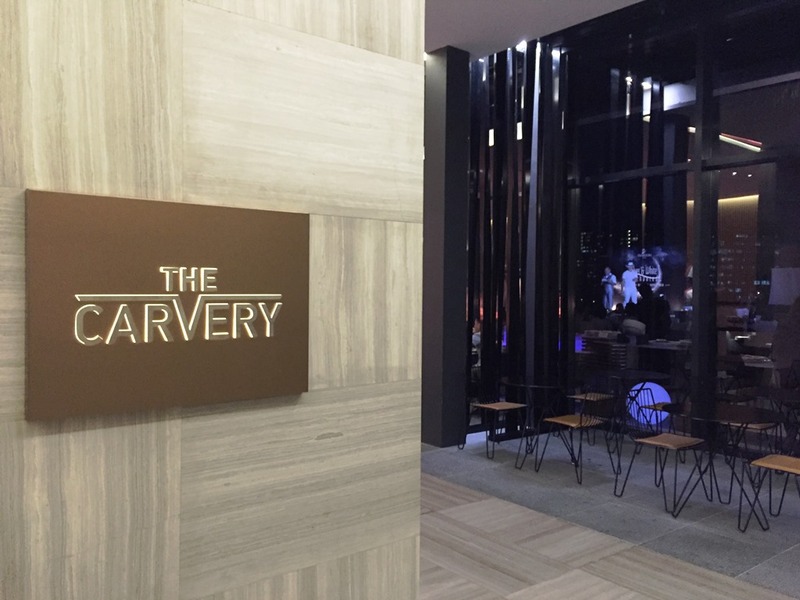 If you are looking some some quality roasts alongside some very tantalising hot and cold dishes, The Carvery makes a brilliant choice. 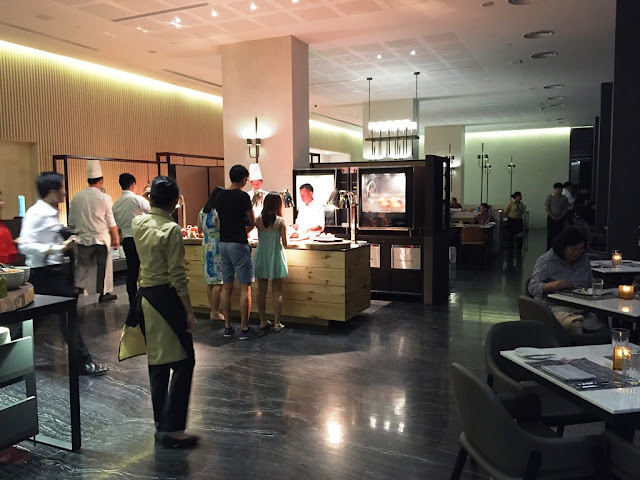 This is particularly so when it is priced reasonably at just S$38/++ for lunch and S$52/++ for dinners on Sundays through to Thursdays. 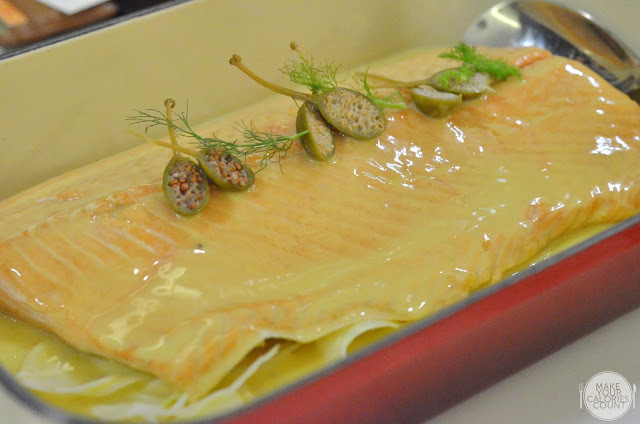 Dinners on Fridays and Saturdays are priced at a slight premium of S$62/++ but you can expect additional choice of premium roast which honestly more than make up for it! With a cosy ambience and exceptional service rendered, we are already planning a family get-together session sometime soon! P.S: Special thanks to Jeanette for the invitation and Park Hotel Group for hosting us! Did u try the chicken? What is your verdict? I did and really enjoyed it, thought it was done really well. Had the chicken breast which remained very succulent, only shame was that it was not too photogenic so did not get a nice shot for posting! How did you find it?